Everyone plays their part and so does Pauline Long. Amongst us Africans is a culture of donor dependency and lack of trust of each other when it comes to doing charity work to benefit our people at home. But Pauline Long stands out. She is conscious no matter how big or small one gives to our charities, giving itself is a good thing to do. She has given a tithe of what she has to the poor. Twice when my book is auctioned when she raises her hand for price to go higher so that people know giving is a good thing to do. I honour her generosity and especially actions she takes to help charities. This is reason why she is top of my list of women who are amazing in the world. I do not choose women to put on my top list because they did something for my charity or for me. Women are on top list because they help others and they also help themselves and so my top list is quite balanced because I award what I see. Be it a coin or millions given to help others, my role is to acknowledge the good gesture. I wish many African women could turn their birthdays into fundraisers like I saw on 13 September 2013 with Pauline Long. I have never seen a woman who stands out and remain consistently generous, kind, open, hard working and self motivated like Pauline Long. She is originally from Kenya and runs a business in clothing design and modelling. She has a studio where she displays her designs so that the public can view them and buy. What inspires me about Pauline Long is her big heart for others. She reaches out to African communities raising awareness on racism, violence, poverty and how best Africans can unite their communities in love in foreign countries where they live The reason I chose to feature Pauline Long and invite the world to know her is that she has been a pillar of strength to those working in the charity sector. Be it time, moral support or even a pound in her purse, Pauline Long generously gives. Pauline Long comes Kenya and I come from Zimbabwe. What touched my heart is that on 8 March 2012, Pauline was there at South Bank University to be Director of Ceremony when my book got launched. The atmosphere in the room was explosive as every woman had a terrible past to share. The way Pauline kept calm, love and peace throughout the event soothed all of us. When you join Pauline on Facebook for the first time you would think she works full time for racial equality, gender equality and children`s rights. But the truth is that she is a woman driven more by passion not money. She is one of those activists who work outside the small boxes of organisations we have created. She works with people and not offices, chairs and banks accounts. It is rare for Pauline not to run a daily inspirational workshop on topics that improve the well being of Africans. She is open, fair, non judgemental, straight and to the point. Pauline Long`s activism has inspired her son to write a children`s book on racism. In her son, we see a new breed of young men coming up. Talking about mothers who change their sons before going out in organisations to change other people, she is a typical good example. I have put a brief biography of Pauline Long and I know you would want to follow inspiration in your lives. I always advise young women to know who to follow in these social networks. I started following Pauline Long since 2010 when I received the African Achievers Award. I was there to receive an award and Pauline was the Director of Ceremony. She followed me from that day onwards. Later, I realised I should follow her more as she is inspiration. She awards others and she is there when you need someone to talk to. Pauline Long is a Kenyan born entrepreneur, philanthropist, fashion designer and presenter. She is the founder of Europe’s biggest award ceremony for black and ethnic personalities in entertainment, film, fashion, television and arts (BEFFTA). The award ceremony celebrates and promotes the achievements of a very talented and hard-working community often over looked. As a mother and wife she developed a huge passion for giving back which led her to founding Mr and Miss East Africa UK, these pageants encourage entrepreneurship amongst East Africans in UK but most importantly they work closely with East African children’s charities. Through the pageants she started the shout campaign, a campaign aimed at eventually taking children off the streets. At the moment the campaign feeds street children monthly. Pauline also runs their family business East End Studios, which i one of London’s biggest independently owned film and TV studio based in East London and next door to Olympics village. Some children in Sierra Leone will report to school on Monday thanks to all who contributed towards my fundraising birthday dinner. st night was truly blessed, oh my goodness if this is what it means to celebrate birthdays for a good cause then I will celebrate mine every year. Wow I have been missing so much. Imagine the amount of money and awareness I would have raised every year for good causes, wow thank you so so so so so so so much to ALL MY GUESTS who made it even in the bad ENGLAND weather lol. Thank you so so so so so so much to all those who donated live at the dinner, thank you so so so so so much to those who donated directly to Melqosh Mission bank account because you could not make it last night. Special thanks to my guest of honour, founder of BEN TV Dr Alistair Soyode, and many thanks to my wonderful guest speaker Sir Dayo Olomu for steering the night. 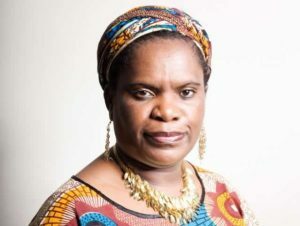 Special thanks to my key note speaker CNN hero Betty Makoni who donated her autobiography which was auctioned for £220. Wow! Thank you so much to Pearllita’s Lush Delights for the 100 cup cakes, they flew, they grew legs lol… the best cup cakes ever. Thank you so much to the young beauty queen Miss Caribbean Commonwealth Chanise Thompson and her team for organising my birthday party, all I had to do was just turn up, you are a star beauty queen. Malisha Da Queen thank you so much for the support. To my wonderful hosts Alim Kamara andSwanilenga GroupPr wow! thank you words cannot express my gratitude. My dress designer, specially made for me and hand delivered Aleah Leighdesigns thank you so much. To all the fashion designers, models, artists, photographers, TV crew and press thank you. We did all this in aid of the post war amputees of Sierra Leone and their children who need to go to school. PLEASE SPREAD THE GIVING BACK TREND, SOMEBODY SOMEWHERE NEEDS A HAND UP NOT A HAND OUT….. Thank you all and God bless ….